Fourteen, including newcomer Chris, set out behind John D on the ten o’clocker. Botley Hill, along Chestnut Avenue through Knockholt to Otford. 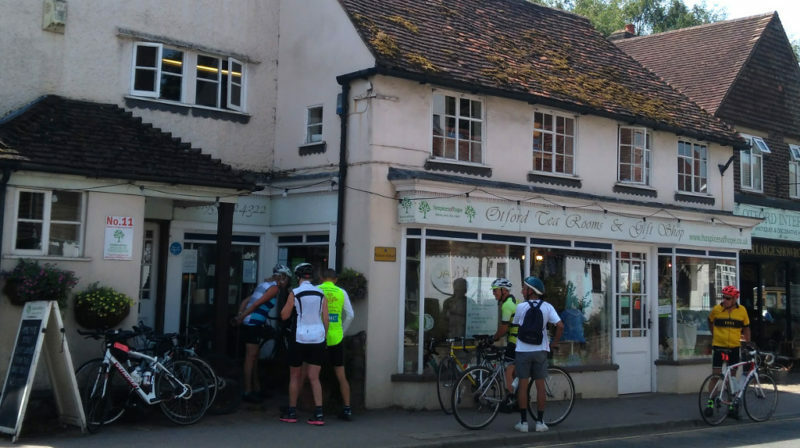 There to meet that ‘A’ team who were just departing – but not from our destination – the Pond Café Otford. Apparently it was closed Monday/Tuesday. Luckily almost opposite is the Otford Tea [and Charity] shop. What a find! Besides be able to buy a lookalike Stradivarius for £25 there was cake and big pots of tea for not a lot. The view may not include the Pond and Duck House and the menu asking for understanding that the staff were unpaid volunteers so please treat gently but it was good to enjoy and do good at the same time. The charity was Hospices of Hope UK and the fruits of their work was shown in charming photographs around the cafe. The hospice movement was started by my next door neighbour [now deceased] Cecily Saunders here in Sydenham back in 1967 and revolutionised the idea of a ‘good death’ and development of matching pallative care for the terminally ill. The hospice movement has spread all over the Uk and is spreading around the world. 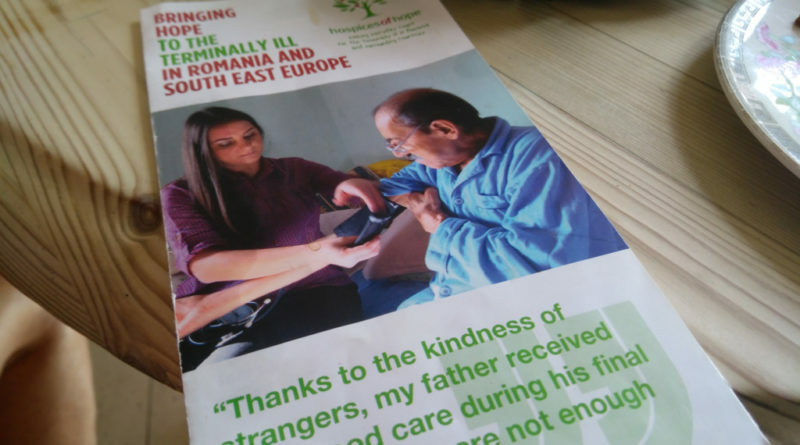 Hospices for Hope is focussed on bringing this care to Romania and South East Europe. We retraced most of the way back except choosing the somewhat gentler Clarke’s Lane instead of Starr Hill. 35.92 miles at 10.29 mph.